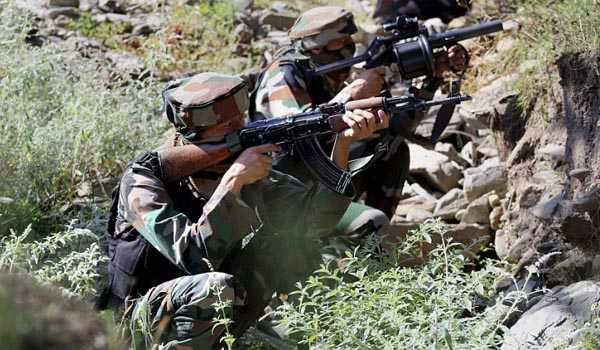 Srinagar, Oct 21: Security forces guarding the borders are on high alert to foil any infiltration attempt from Pakistan Occupied Kashmir (PoK), where a large number of trained militants are waiting at launch pads to sneak into this side before the upper reaches are closed due to snowfall. Our troops are ready to meet any challenge from militants who are attempting to infiltrate into this side, Inspector General of BSF, Kashmir frontier, Abhinav Kumar told reporters on the sideline of a function here on Sunday. He said neighbouring country is making efforts to send more militants into Kashmir valley. But, he said, our Army, BSF and state police are on high alert to foil all such attempts. Troops are fighting on the Line of Control (LoC) while police and other paramilitary forces are doing excellent job in the valley, Mr Kumar said. Earlier, as customary, National Police Commemoration Day was observed at BSF Frontier Headquarter, Humhama, Srinagar remembering the brave policemen who sacrificed their lives while discharging their duties. Mr Kumar led other ranks to pay rich tributes to the martyrs. Recalling the sacrifices made by brave Bordermen, he showed his condolences on Shaheed Smriti Sthal, senior BSF officers all other ranks were present on the occasion to pay respect and homage to the martyrs. Police Commemoration Day is observed on October 21 every year to mark the martyrdom of 10 CRPF men who lost their lives in Ladakh in 1959 while defending the borders and to pay tribute to all other Police personnel martyred on duty during the year. On the occasion, special reference was made about Constable Mohammad Ramzaan Parray of 73 Bn BSF who lost his life on September 27, 2017 while bravely fighting the heavily armed militants and ASI Braj Kishore Yadav of 182 Bn BSF who on October 3, 2017 fought unarmed valiantly with the suicidal militants of Jaish-e-Mohammad and attained martyrdom. Further on the occasion, IG BSF exhorted upon all the Bordermen to discharge their duty with utmost responsibility, fervor and dedication to strengthen the national Integrity and solidarity towards the nation.